The word Limmuwdyah means to be taught by YAHWEH. 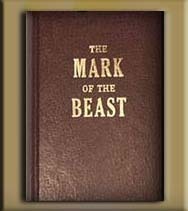 In this series of doctrinal study, we will go through the book The Mark Of The Beast authored by Yisrayl Hawkins and inspired to be written decades ago in order to show today’s prophetic times in a timely manner. Many people have the question What is the Mark of the Beast? This book uncovers the truth about this mark and how the whole world is being deceived into willingly accepting it. So, what is the Mark and how can you avoid receiving it? Watch and find out… And be sure to JOIN US every week for LIVE STEAMING of both Sabbath Services and our Weekly Classes. (Roman Friday evening & Sunday evening at 7pm CST).